Big Band Library: February 2014 "Big Band News"
FEBRUARY 2014 "BIG BAND NEWS"
from Ellington's final European tour. a guest appearance on a Nat "King" Cole radio show. Radio Show," Sounds of YesterYear (E) 951. 2-CDs with shows 48, 49, and 50.
post-war ensemble under Tex Beneke's direction. Lopez, Masters, and T Dorsey. Thomas Brothers. Louis Armstrong: Master of Modernism (New York City: W.W.
Rcihard Hayman, 93, d.Feb. 5, 2014,"natural causes." Arranger for Monroe '45?-'50?. with Ellington '63 / '68 / '73. Sid Caesar, 91, d.Feb. 12, 2014. Saxophonist with Fields '42; later, a comedian. Feb. 13, private party, Heritage Ranch, McKinney, TX . C. Cailloux City Center, Kerrville, TX ; Feb. 15, Strange Brew, Austin, TX ; Feb.
NM; Feb. 23, Spencer Theatre, Alto, NM; Feb. 27, Desert Hills High School, St.
Duke Ellington's only opera, "Queenie Pie," a comparatively unknown work, is being performed by Chicago Opera Theatre through March 5th. The title character, Queenie Pie, was inspired by the life of Madam C. J. Walker, the first African American self-made woman millionaire, who developed and sold a line of hair and beauty products through innovative mail orders and door-to-door sales. In his Chicago Tribune newspaper review on the 16th of this month, critic John Von Rheim wrote that it's "an exuberant production of a deeply flawed piece one would describe more as vaudeville and popular musical theater than opera . . . The music is a delight . . . What a shame that the score is saddled with such a lame libretto." Interested in the opera genre since the 1940s, Ellington started composing "Queenie Pie" in 1962, when he received a commission from the New York public TV station WNET. In collaboration with librettist Betty McGettigan, he worked on the opera from 1967 to his death in 1974, but the work remained unfinished. Since then, different versions have been produced (1986 in Philadelphia and Washington, DC; 1993 in Brooklyn; 2008 by the Oakland Opera Theater and in 2009 at the University of Texas, Austin). Jeff Lindberg, Artistic Director of the Chicago Jazz Orchestra, serves as Conductor for "Queenie Pie," which, in fact, uses the Chicago Jazz Orchestra as its pit band. Ellington's grandaughter, Mercedes, was in the audience on the 15th of this month. In next month's "News," just in time for the 110th anniversary of Glenn Miller's birth, Roly Taylor's detailed chronology of Miller's mighty Army Air Force band continues. 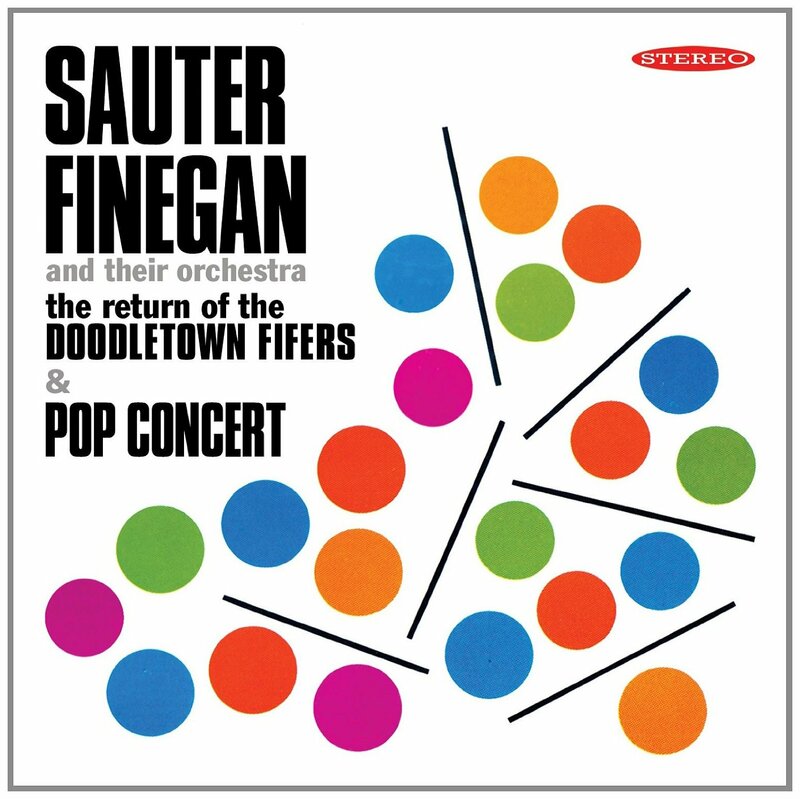 Sepia Producer Richard Tay has done an excellent job in transfering Sauter-Finegan's two United Artists stereo LPs, "The Return of the Doodletown Fifers" and "Pop Concert," recorded in 1960 and 1961 respectively, to compact disc - with the catalog number Sepia 1248. Creative instrumentation, great sound, colorful artwork, and full liner notes enhance this release, which should be a must-buy for collectors.